FAQ < Capabilities < Mid-States Aluminum Corp.
Because the largest billet you use is 8″ in diameter, does that mean you can only extrude within an 8″ circle size? Not necessarily. Certain profile shapes beyond 8″ may be extruded at Mid-States Aluminum with special tooling, but these must be addressed on a case-by-case basis. 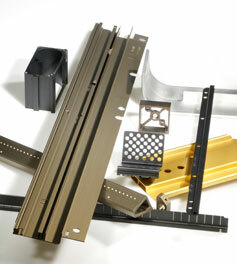 What’s a typical lead-time for a new extrusion order? 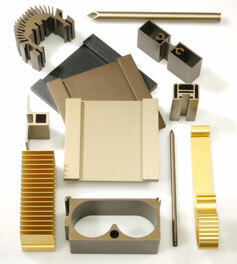 New extrusion tools will typically take 2 to 3 weeks, plus 1 to 2 weeks for initial production material. If you order material from our vast library of standard extrusion shapes (tooling that we already own), then the lead-time would be the same as any other repeat order and would be dependent on current manufacturing capacity. 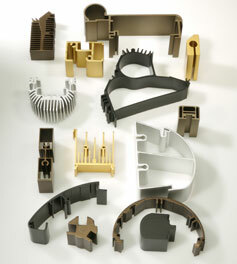 Do you produce prototype parts? Yes, we have a wide variety of fabrication, machining and tool & die capabilities, and can quickly and cost-effectively manufacture lot sizes as small as one piece. 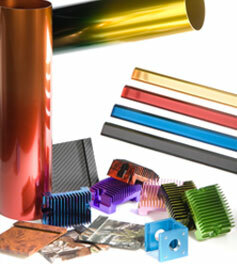 Extrusion tooling is relatively inexpensive compared to other manufacturing processes and tooling, so oftentimes you’re better off buying an extrusion die right away. You can help speed up this process by supplying us with an electronic, solid model drawing. If I wish to send an electronic drawing to you, what types of files can you accept? Our main CAD system is SolidWorks, but we can also accept other file formats such as DXF, DWG and IGES. How do I learn how to correctly design an extrusion profile? All you need to do is contact us and describe your application. We’d be glad to help. We’d love to come visit your plant to meet with you face-to-face and also to see your application in person. We can arrange an on-site seminar with your employees at your facility or ours. Otherwise, we are always available to offer suggestions over the phone, exchange drawing concepts with you via email or provide you with extrusion design reference materials. Are there any profile design considerations for ensuring a good finish on a highly cosmetic surface? Abrupt changes in material thickness or webs on the opposite side of the critical surface can alter the appearance of a critical surface. If you specify these critical surfaces on your drawing, we can discuss this in more detail. Why do extrusion companies always ask me to sign off on a drawing before they can order tooling if I’ve already provided a drawing? Oftentimes, we find a few key dimensions that are missing from the original drawing that need to be clearly identified. Other times, we have taken exception to a tolerance, dimension, alloy, note, surface condition, etc. It’s just our way of documenting exactly what we have agreed upon. How sharp can corners be on an extruded profile? .015 inch minimum radius on inside and outside corners. I’ve heard the terms “solid”, "semi-hollow” and “hollow” shapes. What do these terms actually mean? Will I own the extrusion tooling that I’m paying for? How are replacements handled? Yes, you will retain ownership of the die if you paid for it. We will store the die in our facility and we will be responsible for maintenance and replacement of the die at no additional cost to you. How easy is it to make minor changes to the design of my extrusion die? It may or may not be cost-effective, depending on the change. Often, it’s more reliable and cost-effective to purchase a new die than it is to modify an existing die, which could potentially jeopardize the material flow. What aluminum alloys do you offer? 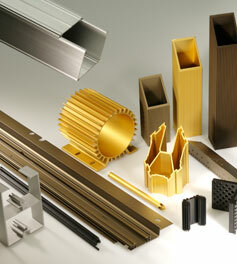 Mid-States Aluminum Corp. offers four of the most common 6000-series aluminum alloys: 6063, 6463A, 6005A, and 6061. Contact our sales team at 920.922.7207 or email sales@midstal.com.